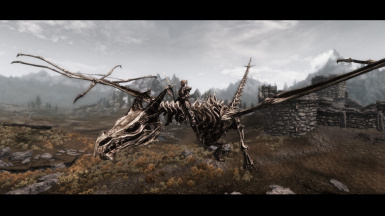 This mod adds two flyable dragon mounts; Dremlokmir, an Elder Dragon, and a Skeletal Dragon. 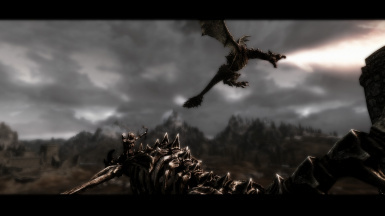 The dragons do not help the player in combat and are supposed to be used as transport only. 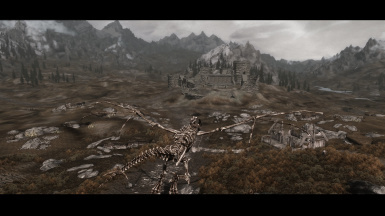 This mod where created, and rushed to release, mostly to prove that flyable dragons where possible without Dragonborn. Scripts and animations by J3X. Clone, copy, spread, mutate, merge, and do whatever you want just as long you give me credit for my work. If you upload this mod to any other site (don't upload to sites that make money from mods) please make sure that it's updated and link back to this site. You do not need to ask for permission to use this mod. If you create a modification to this mod please release it. If you manage to fix some bug or add a new awesome feature please let it be included in this mod as well. Dragon Skeleton & models by fLokii. Contact for permission to use. No DLC nor SKSE required. Beta release, contains probably bugs. 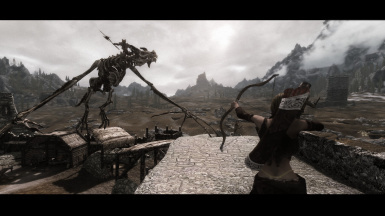 This mod where created, and rushed to release, mostly to prove that flyable dragons where possible without Dragonborn. 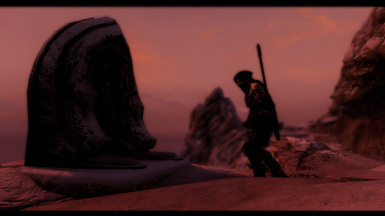 I had an alpha version of this mod as early as July in 2012, it had however some severe animation issues. 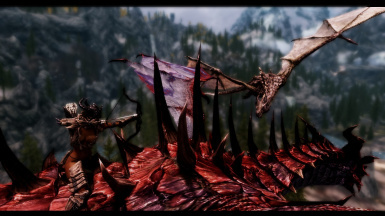 - Summon your dragon either via a shout or via a spell (get them via Draugrborn). - A dragon will appear above you and pick you up. Stand still and wait. - The script will try to auto mount you, it might work or it might fail. If that is the case, mount manually. - Look up and look down to steer up and down. For some weird reason are the controls a bit slow. - You can summon your dragons again when you have received the message "Your dragon has returned". - The dragon will not disappear unless you mount it, ride it and dismount it. 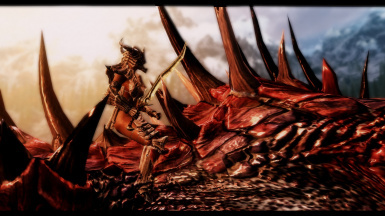 - The mount part is quite buggy and it takes a while for the game to detect that you have mounted and dismounted your dragon. - Altitude drops (same as in my broomstick mod) have returned for some weird reason. If you experience them look up into the sky and hope for the best. 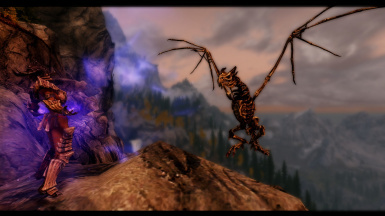 - The camera behaves a bit weird while you fly around. - The dragons legs behave also a bit weird. - The solution to most of these problems (at least for me) was to create a new game. I think this is because my saved game had to many scripts running. Give it a try if you experience any bugs. I am no longer modding Skyrim but still provides tech support over email or PM. 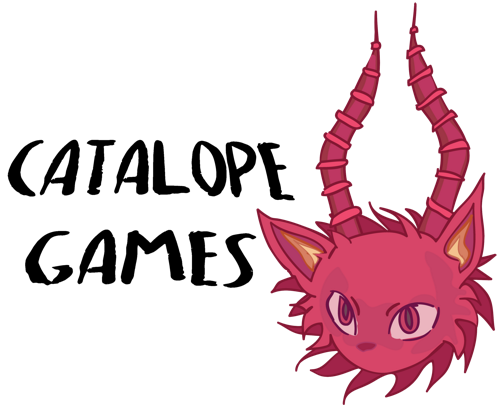 I run a small game studio called Catalope Games, if you enjoy my mods please check it out. Official Webpage | Facebook | Twitter | Join our Steam Group!